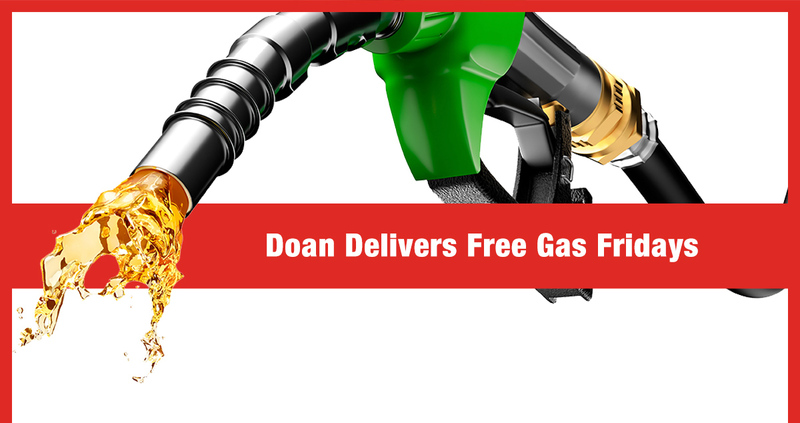 Free Gas Fridays started as part of our Doan Giving event in November 2018. Each week we go out looking for vehicles with Doan license plate frames—if you've got one, you could win $50 in free gas! It's our little way of having fun and giving back to our amazing family of customers. Who will win the Free Gas Fridays giveaway next? Follow Doan Dodge Chrysler Jeep Ram Fiat on social media to find out and stay connected with our dealership! Feel free to contact us if you'd like to learn more about Free Gas Fridays. And as always, you're welcome to stop by our dealership at 4477 Ridge Rd W, Rochester, NY 14626 and browse our great selection of quality vehicles. We look forward to serving our customers near Spencerport, Hilton and Greece, NY.